I have been working in digital media since digital has been around, from the earliest CD-ROM reference products in 1990 and earliest web services in 1993 to marketing leadership roles in online education, e-commerce and the Chicago startup scene. 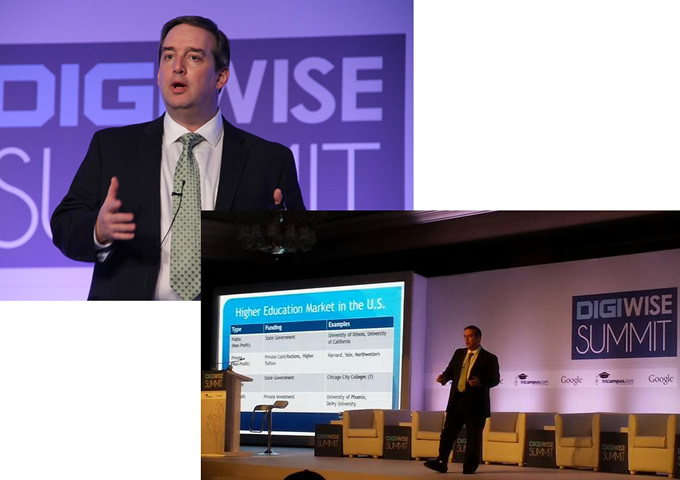 Here I am in New Delhi (with a cast on my foot), where I was invited to speak on digital marketing for higher education at the 2014 DigiWise Summit, hosted by The Hindustan Times and Google India. 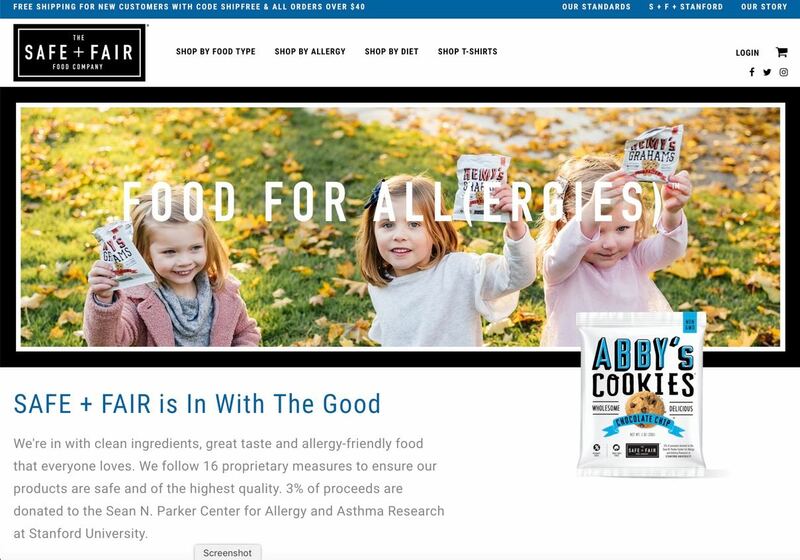 I recently led all e-commerce and digital marketing for The Safe + Fair Food Company, a Chicago-based startup focused on allergy-friendly foods. I oversaw a Shopify web implementation and the entire marketing technology stack, as well as all traffic acquisition strategies. I managed outside services for web design, social media, SEO and conversion rate optimization. 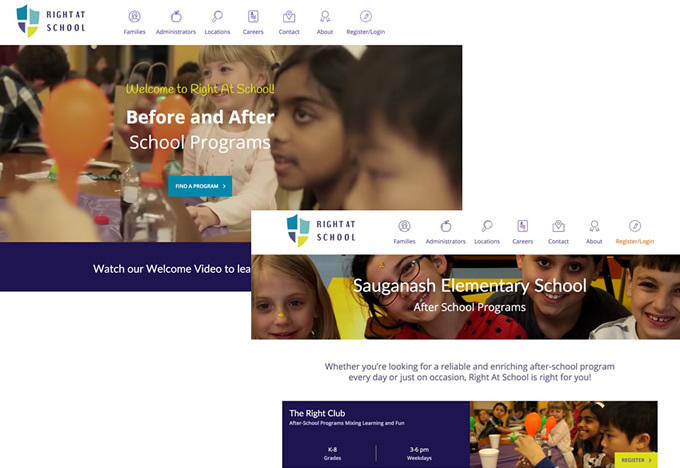 Education enrichment company Right At School has worked with me for several years to build and manage its web site. I have witnessed the company’s growth from a Chicago-based startup to serving hundreds of schools across 10 states and Canada. 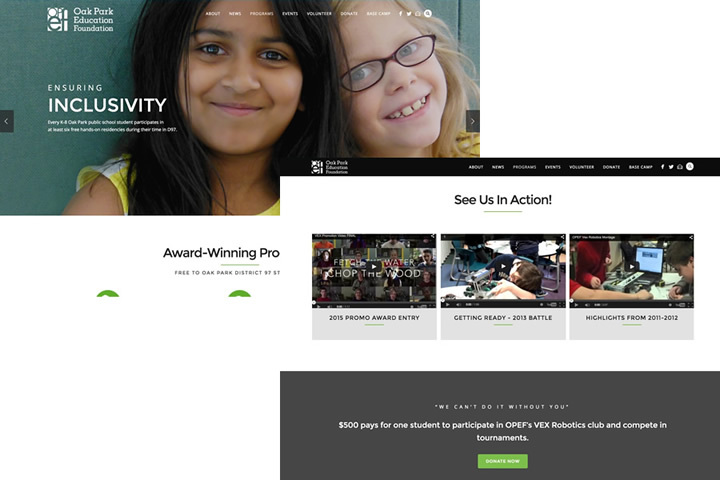 When the Oak Park Education Foundation in my hometown needed a new web site, I partnered with a local designer to develop a WordPress site that the foundation could manage on its own. The focus was on fun shots of kids engaged in Science, Technology, Engineering, Arts and Math programs. 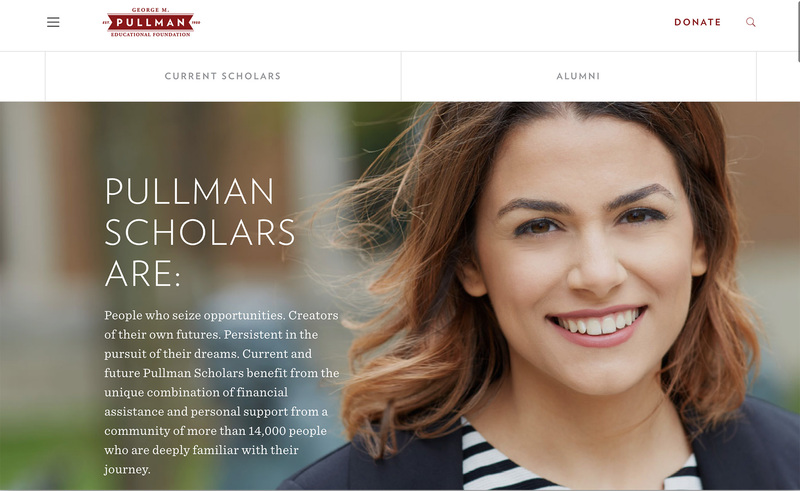 The George M. Pullman Foundation provides merit-based and needs-based scholarships to Chicago-area high school students. When they found their web site impossible to update, they turned to me to rebuild it with the same design but in a WordPress template that allowed them to manage the site on their own. 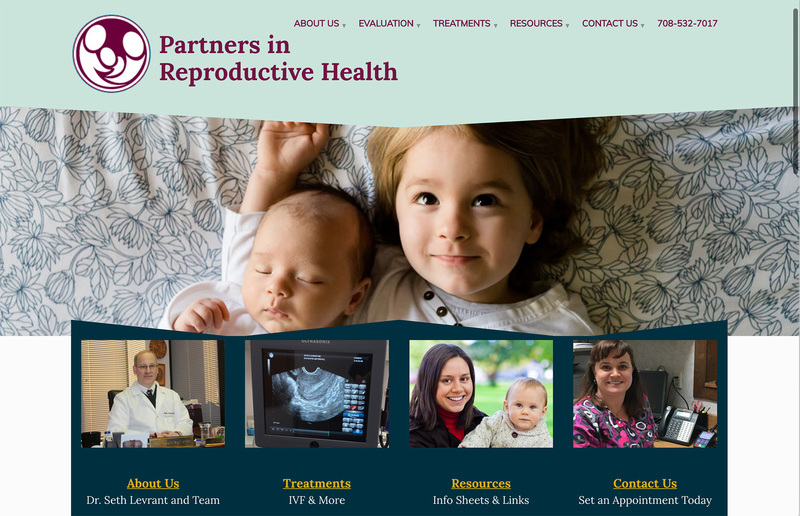 Partners in Reproductive Health at myivfbaby.com hired me to rebuild their web site in a WordPress environment with easy access to contact forms and with images of happy parents and babies. 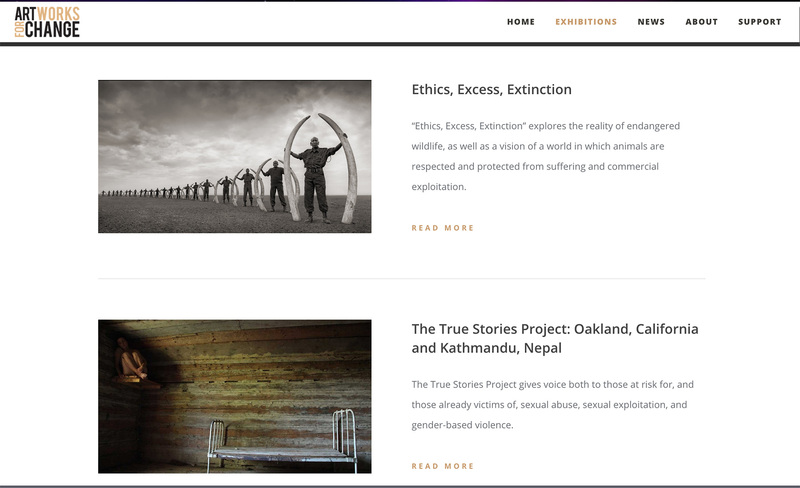 Non-Profit Art Works for Change reached out to me for pro bono consulting on their mission-driven online exhibitions, which focus on activism around climate change, poverty and other social issues. I assisted with search engine optimization, search engine marketing and web site usability projects. 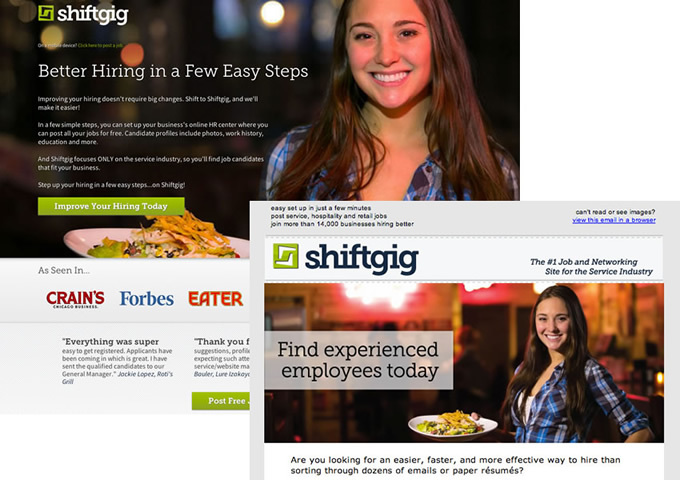 During my time at Chicago-based gig-economy startup Shiftgig, I oversaw digital marketing and led the rapid expansion of employer and job-seeker acquisition through email marketing and other digital channels. 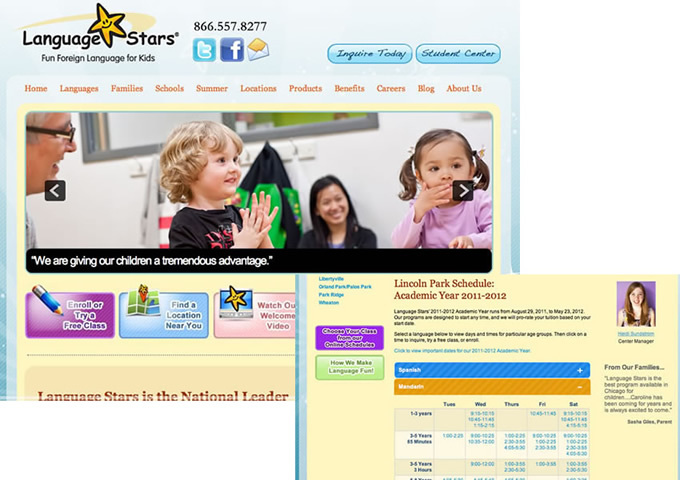 At Language Stars, I oversaw the expansion of digital marketing through the development of campaign landing pages, a new web site with class registration capabilities, and campaigns with Groupon and other daily deal sites. The result was a 50% reduction in inquiry costs and a 10% increase in overall revenue at the height of a recession. I also led marketing for their expansion into a second metro area, Washington DC. Although most of my career has been spent in digital marketing, I have also done considerable work in traditional marketing, including print advertising, radio, outdoor display and direct mail. 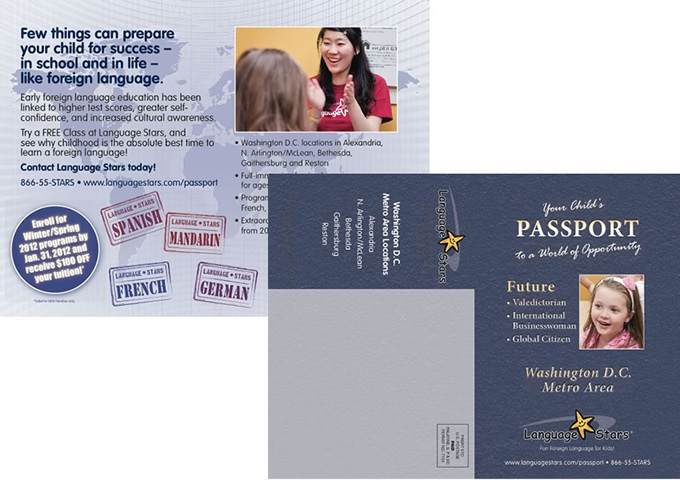 This “passport” direct mail piece from Language Stars invited parents to consider their kids as future achievers, with stamps inside for languages instead of destinations. In 2007 I was recruited to head up marketing for an ambitious online initiative at the University of Illinois, modeled on for-profit universities but with the quality of a top state school system. I oversaw the development of marketing strategies for five degree programs and several certificate programs, bringing in 28,000 student inquiries and 1,000 students. 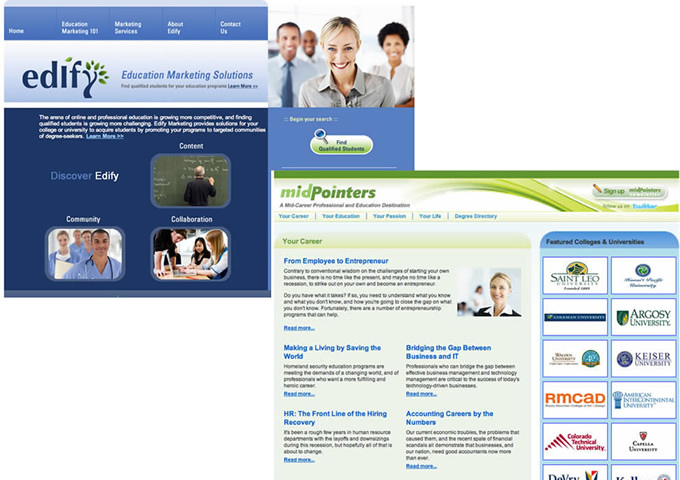 Edify Marketing was my early-stage startup built to serve higher education clients looking to attract online students. The main service was a degree portal called MidPointers, which catered to mid-life career changers. 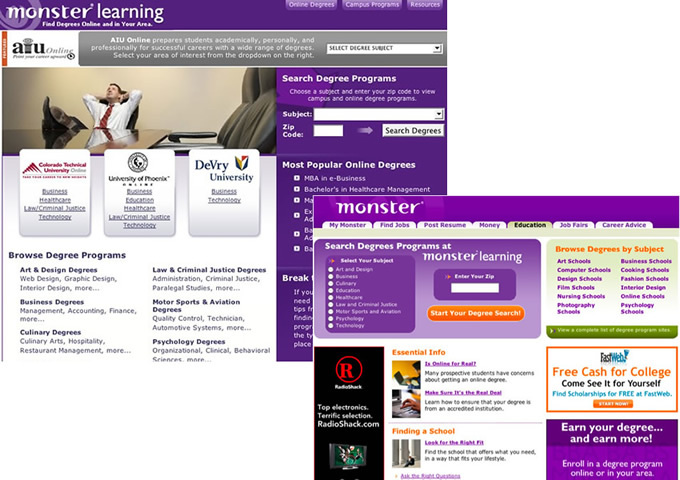 When they were still the leading job web site, Monster.com hired me to breathe new life into MonsterLearning, which connected degree-seekers with for-profit and traditional universities. The initial revision of the service saw six-fold increases in first-page Google results within three months. Following this initial success, I oversaw the integration of a strategic acquisition in the degree portal space, which Monster’s CEO later called the fastest ROI of any acquisition in the company’s history. I have overseen and personally sent more than a billion marketing emails in my career. (I like to joke that I am both proud and ashamed of that number.) In several of my roles over the past 13 years, I have also been responsible for identifying, selecting and implementing email marketing, marketing automation and CRM systems. 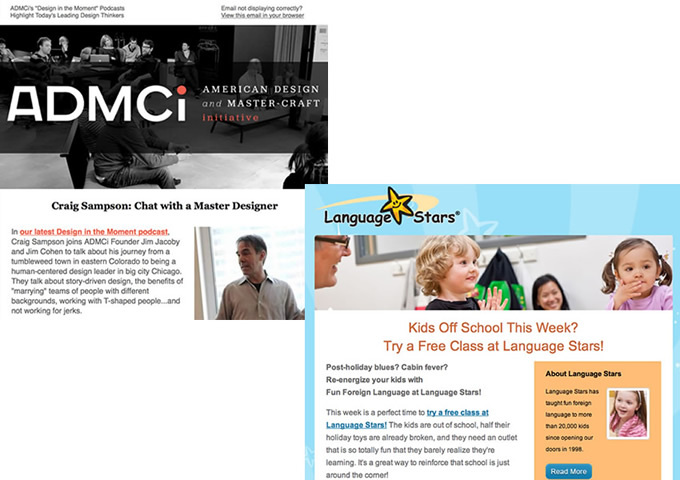 These samples are from Language Stars and The ADMCi, an education initiative focused on user experience design. 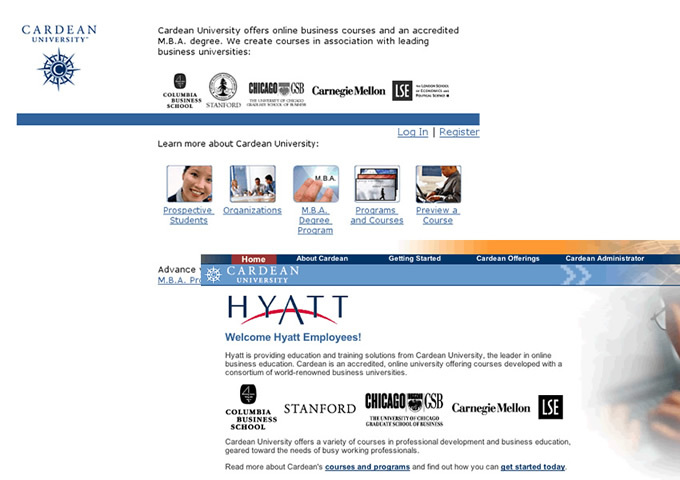 Cardean University, a division of UNext, was an early online university offering one of the first fully online MBA programs, developed in partnership with the University of Chicago, Stanford and other top business schools, and backed by investors Larry Ellison and Michael Milken. 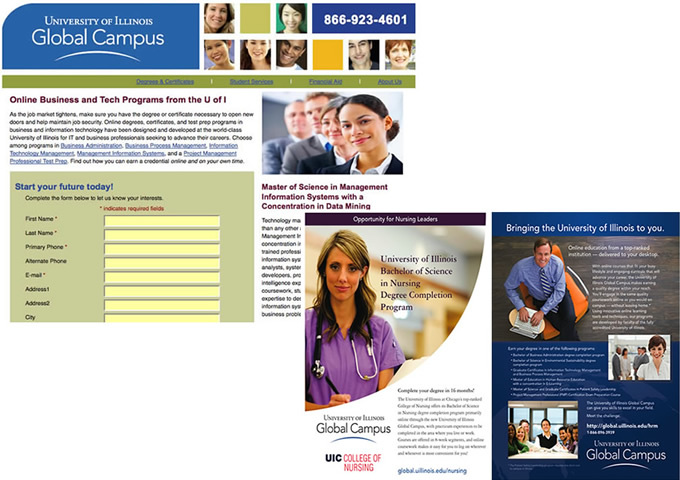 I managed digital marketing, including the public “front door” of the university, as well as numerous microsites developed for corporate partners such as General Motors, Shell Oil and Hyatt Hotels. 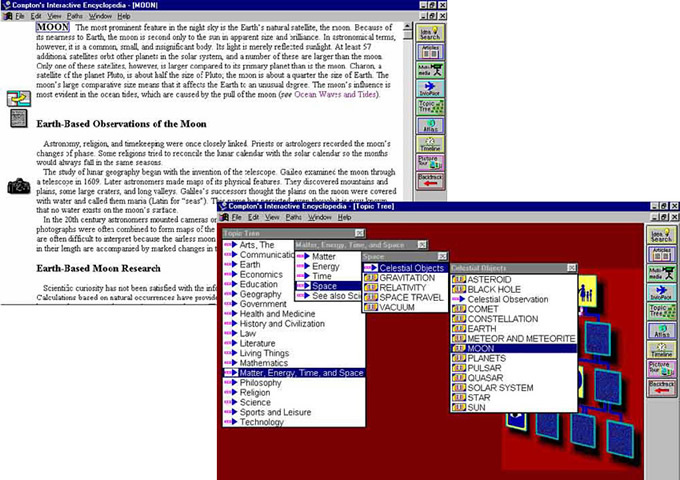 I served as project manager for Britannica Online, the first web-based encyclopedia, developed in 1993-94. 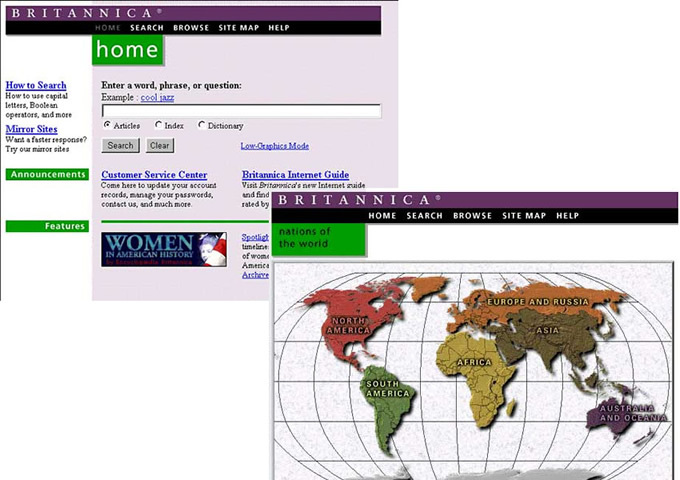 I oversaw all scheduling and planning for Britannica’s digital reference products throughout much of the 1990s, working with in-house editorial, art, cartography, indexers, programmers and a west coast advanced technology group. 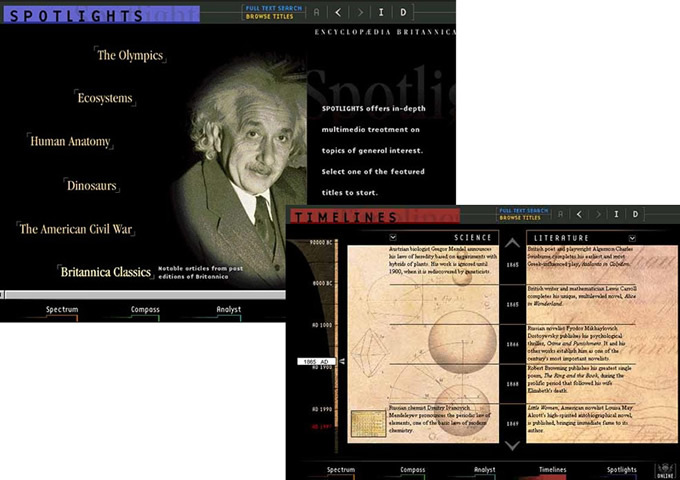 Britannica CD was a two-CD-ROM product—too big to fit on a single disc before the advent of DVDs—and containing special features including a customizable timeline of world history, an interactive atlas and articles from great contributors such as Albert Einstein. 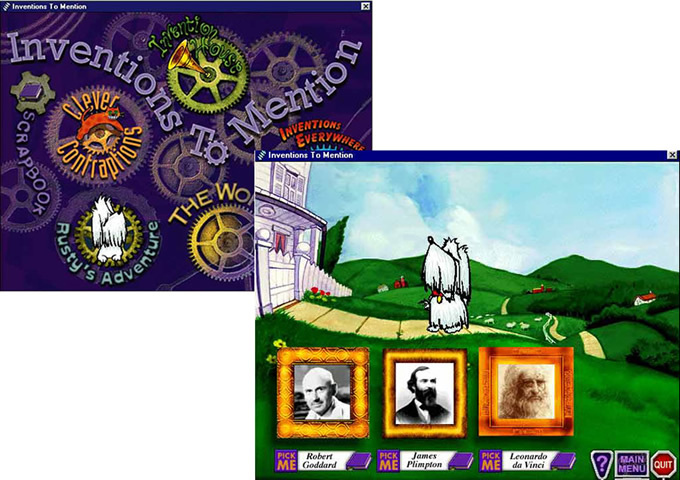 In the mid-1990s, Britannica developed children’s educational products as a partnership with VTech and designers who had worked at Sesame Worshop. In Inventions to Mention, Rusty the Dog had to chase his inventor’s intercontinental frisbee, and he advanced by selecting the correct inventor at each challenge. I served as editorial manager of the earliest CD-ROM reference products for Compton’s Encyclopedia, Britannica’s young adult brand. I helped develop timelines of U.S. and world history, oversaw geographic and historical updates during the unification of Germany and the breakup of the U.S.S.R, and managed a topical outline of all encyclopedia entries.